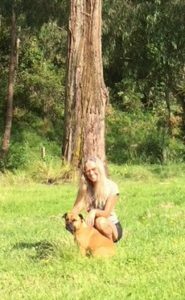 I’m a marriage celebrant, yoga teacher, retreat leader and ecologist from south coast NSW. As a celebrant I provide beautiful unique ceremonies in beautiful places. 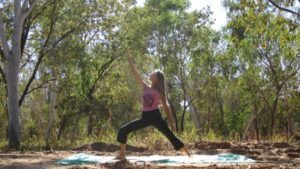 As a yoga teacher I guide and support others in their yoga journey. 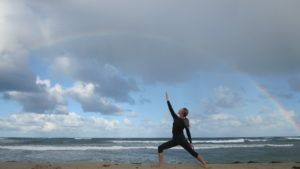 As a retreat and walk leader I create and facilitate spirited earthy experiences. The sun, the sea, the beach, sea eagles. 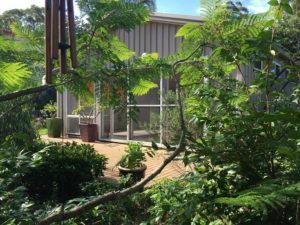 The bush, trees, flowers and gardens. Songs, music, dancing and books. Dogs, kids, grandkids and friends. Spirituality, nature-spirit connection, ritual and community. These are some of the things I love in life. These things inspire me as a celebrant, yoga teacher and retreat leader. My home is at Broulee, a beachside village between Batemans Bay and Moruya on the south coast of NSW, Australia. I have three wonderful adult children – two daughters and a son – as well as two precious little grandchildren. 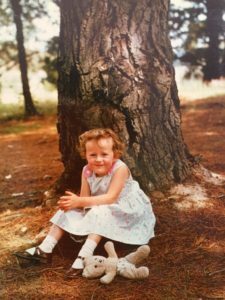 During my 25 year professional career I worked in conservation, environment, horticulture, national parks, botanic gardens, Indigenous affairs and communications. I bring experience in leadership, facilitation, communications, public speaking and event management to my roles as a celebrant and teacher. 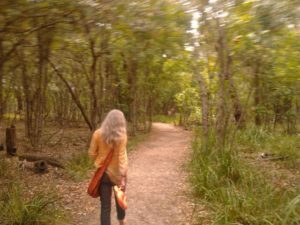 Combined with my insights, knowledge and skills as a yogini, ecologist, deep ecologist and writer, I have much to offer as a celebrant and retreat facilitator. My yoga journey began when I was a teenager some 42 years ago when my sister took me to a yoga class. 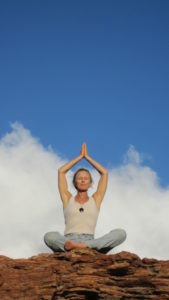 I trained as a yoga teacher in 2007 as I wanted to share the joys and benefits of yoga with others. 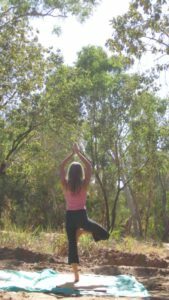 My personal yoga practice is a vital part of my life – bringing me focus, energy, inner and outer strength, balance, stillness, calm, inner connection and spiritual sense. 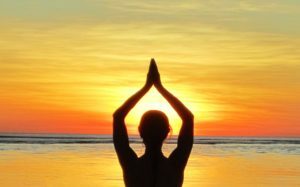 You can read more about my yoga on the Radiant Sun Yoga page. 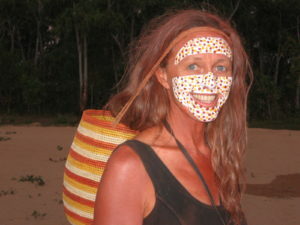 I am taken with the concept of yatra or pilgrimage, a spiritual journey, and love to travel on pilgrimage to wild bush and beach places around Australia. 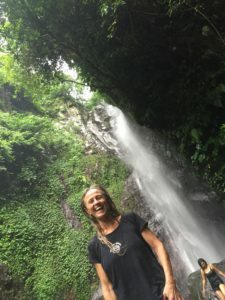 I am very excited to be offering new Spirit Earth Walks and Retreats in 2019, guiding others to reconnect to earth, water, fire, air and spirit in awe inspiring natural environments. 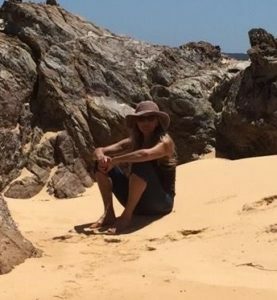 My diverse experience as a yogini, ecologist, conservationist, deep ecologist, shamanic practitioner, activist, facilitator, director, celebrant, mother, grandmother, writer, walker and wanderer means that my ceremonies, classes, retreats and walks are different and unique. Walirryuna is the name given to me by a Yolngu woman from Arnhem Land. Yolgnu are the traditional Aboriginal people of the north east part of the Northern Territory. I was privileged to attend a cross-cultural mediation workshop and traditional conflict-resolution, peace-making, healing ceremony known as Mawul Rom, on Elcho Island, Arnhem Land in 2007. The fact that the name chosen for me means ‘radiant sun’ makes me beam! I use this name for my businesses with gratitude and love.